Often folks ask what "flame cutting" is. Here is what it looks like. Flame cutting is created by hot ignition gases escaping the cylinder gap of a revolver and burning away the top strap. It's primarily seen in .357 magnum and .44 magnum revolvers, but a .38 special firing hot loads can also receive similar damage. In most cases flame cutting is self limiting. Once the closer metal is eroded away, the erosion stops because the gases have room to dissipate. Because flame cutting indicates hot loads being used in addition to a wide cylinder gap, end shake on such a revolver should be checked scrupulously. November 1993--"Fight back! Whenever you are offered violence, fight back! The aggressor does not fear the law, so he must be taught to fear you. Whatever the risk, and at whatever the cost, fight back!" 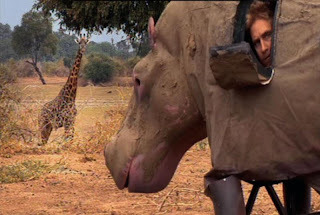 It is actually more funny when smeared with hippo crap. Read about it here. 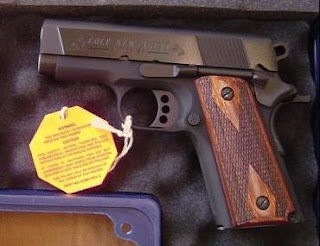 In the Summer of 2007, Colt released a pistol to little fanfare. 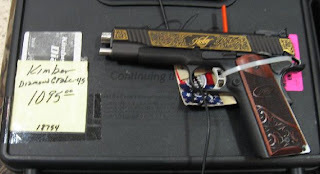 It was a pistol designed to take Kimber's Ultra RCP and smack it down to the CCW mat. 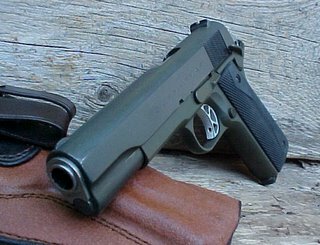 For a while, I had secretly lusted over Kimber's dedicated concealed carry pistol, but I never could get past the Series II thing. Now, I didn't have to. It took me several days to decide to purchase Colt's dedicated carry gun, even after I had found a nicely priced example at a gun show. When I finally realized the price was the same as a used Lightweight Commander, I broke down and purchased my first new gun in several years. 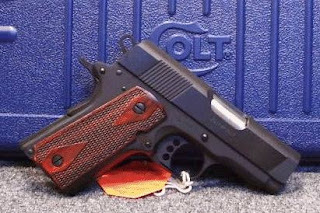 The Colt New Agent is an Officer's ACP sized pistol with an aluminum alloy frame. The barrel length is three inches, and it carries 7+1 rounds of 45ACP. The pistol has a blued slide atop an anodized frame. The black color is all business. The grips are slim grips, with a double diamond pattern that is pressed rather than sharply cut. The thumb safety is the same little nub as was present on the M1911. The mainspring housing is plastic and the frontstrap is serrated. The New Agent is a Series 90 pistol, incorporating Colt's patented firing pin safety. It comes with two magazines. What makes the pistol unique in Colt's line-up is the sights. The New Agent lacks conventional sights, relying on a 2mm channel cut along the top of the slide. The idea behind the "gutter sight" is a snag free, quick to acquire sighting system. The trough is not meant for accuracy so much as it is meant for speed. Once I had my New Agent home, I cleaned and properly lubricated it. Then I spent some time dry firing and trying to get used to the sighting system. The trigger was crisp and about four pounds. There was no creep, and no overtravel screw to adjust. For a defensive weapon, the lack of that trigger overtravel screw is a blessing. I gathered up some ammunition, stuffed my Colt Compact in my holster, and took the New Agent to the range. I planned to shoot a variety of hardball, along with some Gold Dots and HydraShoks. I brought my Colt Compact along for comparison. I started off with my usual drill, making certain the light weight Colt, even though new, was safe to fire. After a few single shots, I progressed up to a full magazine. then I tried to make the pistol jam. I limp wristed it. I fired it sideways, upside down. I let my thumb ride the slide. The New Agent was boringly reliable. 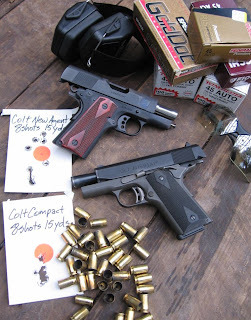 The modified Colt Compact had a definite edge on shooting comfort though. 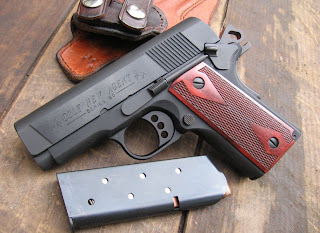 The Ed Brown grip safety, the polished frame, and the additional weight all combined to make the Colt Compact a relative pleasure to shoot and the New Agent a handful by comparison. 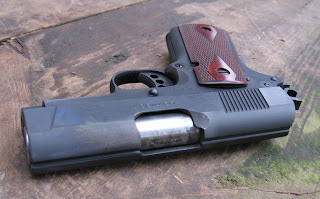 In addition, the Teflon coated Colt Compact was quicker out of the holster. I was using a hand made IWB holster similar to a Summer Special. I swapped over to a Don Hume JIT, and I experienced the same results. Perhaps as the New Agent is used a while, it will rival the Compact in ease of presentation. Time will tell. The Colt Compact also ate the New Agent's lunch on accuracy, not surprising since it has sights. The New Agent did not come to sights for me quicker than the Compact. If anything, the sighted pistol had the edge in speed. Perhaps that was due to my unfamiliarity with the gutter sight, but those were my results. On the Colt Compact I have a Ted Yost retro rear sight paired with the stock Colt front sight. I had a dentist friend press some gold filling stuff in the recess of the Compact's front sight. The result is an accurate pistol with quick sights. Plus, I'm used to it. The lack of contrast in the gutter sight was detrimental. Perhaps I will paint the channel red white. I continued to blast lead down range with the New Colt. The pistol seemed to be grouping low and to the left for me. I wondered what could be causing that, and then I noticed my finger placement on the trigger. I was over reaching the trigger, and shoving the muzzle over with the trigger stroke. Once I corrected my finger placement, the gun got in the black. I wondered, though, why that had happened. Then I realized..... The slim grips had changed the profile of the gun, as well as my grip on it. The screws and bushings were too short to try alternatives. I adjusted my grip, and the problem evaporated. The New Agent had shot 300 rounds without a failure, so I loaded the magazine with HydraShoks, charged the chamber, locked the hammer, and put the pistol in my holster. My jacket draped over it, concealing it completely. I loaded my gear back in my range bag and went on about my day. I thought about going back to the gun show, but I had shopping and chores to do. 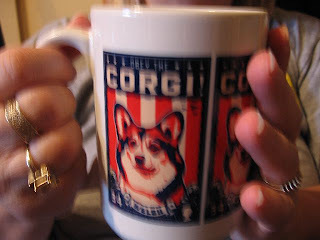 I went to Wal-Mart and the hardware store, and then I continued about my business at home. I forgot the New Agent was on my hip. In the Don Hume JIT, on a good gun belt at 4:00, it carried that well. No, the unprotected thumb safety did not disengage. It is my hope that the pistol will slick up some coming out of the holster. I also hope that highlighting the gutter sight with paint will have a positive effect. 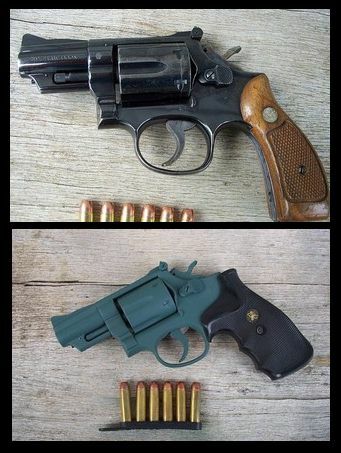 If so, the Colt New Agent will be a welcome addition to my choices for carry. The New Agent passed my carry gun qualification test......500 rounds with no failures, 100 of which are carry ammunition, and it has earned a place on my hip. It carries like a dream. 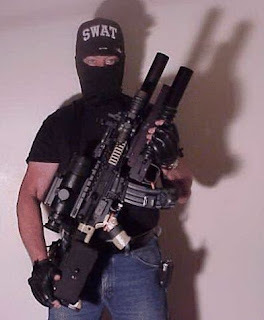 In a OWB holster supported by a gun belt from The Belt Man, I forget the pistol is even there. It is still chilly out, and I frequently use a sweatshirt as a cover garment. The pistol carries just as well underneath a sportscoat. These are my two preferred modes of carry. When it warms up, I may swap back to my old Model 38 slid inside a Uncle Mikes #3 and stuffed into the front pocket of my khakis. For now though, having 6+1 rounds of 45ACP on tap if needed gives me an extra pocket, and I can't tell the difference in the effort it takes to pack it. I stole this photo from Gunner's Journal. A nice well weathered Smith & Wesson Model 19 revolver is not ugly. A green one with a Good Year grip is. single shoot or Full-automatic legal to own NO special permits or License needede NO tax Stamp needed . Rifle's never been shoot. This is one of my private Gun's,Custom Built with all the "GOODIES" It comes with a 2nd Gen Night Vision with controls on the left side of the Night Vision it also shows you yardage to the target, Also one NEW 3 Button remote control switch for easy access by the trigger to "save Time" !!! every second counts. 1 day light cover so the scope can be used in the Day Light,The Night Vision GREEN Light is adjustable with 10 Different settings from Dark to EXTRA Bright GREEN , It has a Green Light, Yellow Light, Red Light to show the settings. 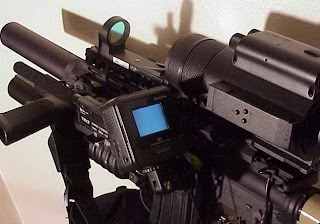 The Night Vision is "EXTRA CLEAR" with NO SPOTS at ALL and is Extra Clear. Next the ATN ULTRA SIGHT-D has 5 settings cross hairs with a dot in the center and 4 other cross hair settings. Also it has a Brightness control with 4 settings It also adjust from Right to Left,If used with the Night Vision it marks the Target with a cross hair with a dot in the center or 4 differant cross hair marks or just a dot in what ever Brightness you want. When seen thru the Night Vision the crosshair or any one of the 5 Differant marks will mark the target with a white light that only can be seen thru your Night Vision. Next I have a colored Monitor mounted on it with volume control, Brightness control,Ear phones with a plug in, Record Mode, Playback and a Red Power light,cover for the Monitor.3 Custom Mounts for the Monitor also swivel mount and tilt for the monitor. 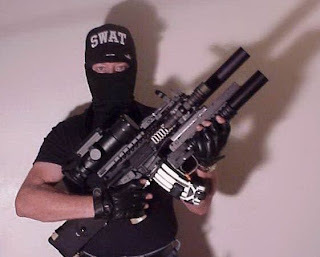 Servalance Listening device that can go thru Block walls,windows,treesand bushes with volume control, Ear phones,you can plug into it .1- M203 37mm Gernade Launcher which also shoots FLARES,CHEMICAL SPRAY,BEAN BAGS,12 ga shoot gun shells and Large Rubber Bullets,also a net to cover people.Iam including a "NEW Flare adapter" to shoot small flares A NEW BOX of 10 white Flares,Rail adapter for the Gernade Launcher,The M203 was shoot 6 times its LIKE NEW!! 1 adjustable Red Laser with IR that cost me $1695.00 with Quick Release ,New 6 way carring strap,NEW Mount for the front strap,New Skeleton stock, New Rifle has 4- rail covers,New pentagon Light ,New Mount for the Pentagon light,New Remote for the Light. 2- New 40 round mags, 1- New mag clinch. 1- New 30 Round Mag on rear stock , 1- New 30 Round Mag Pouch on rear stock, 1- New Rubber Mag pull for the clip, 1- Quick Release Side handle, 1- 4 Rail Predator Barrel cover, 1- New Triger attachment to make it a full automatic , And to much more to list , I have over $8300.00 in it." Hot Hadji on a pineapple glazed porkchop! I just have one question......If we ship this thing to Baghdad, point it in the general direction of the insurgents, will they give up when their arms and legs go flying off? Just before lunch today, I went back to the gun show. I was still rather ambivalent regarding the Colt New Agent, even though my wife had blessed the purchase over our morning coffee. Among the walkers was a young man with a High Standard Citation. I asked what he wanted. He said he really wanted a trade, but he would take $350-400. I looked the .22 pistol over, and almost reached for my wallet. I refrained. I told him he could surely get that. Another walker had a pinned S&W Model 10 heavy barrel with a thin finish and Good Year grips. He was asking $200. That one was tempting too. As I leaned against the wall by the door, watching the flow into the show, I wondered why there were so many kooks in camouflage walking around. Army field jackets in woodland camo, field caps in camo, and T shirts in camo. Didn't anybody's eyes point the same direction? Does everyone put chunks of water hose in their earlobes? The gates of camo hell must have opened and puked out a thousand simian freaks for this show. The women came in two basic styles. The group over 40 was rather demure and normal, trailing behind their oil cloth hatted man with aloof disinterest. The younger female group universally wore stiletto heeled boots and maroon lipstick on top of face paint so thick you could carve your name in it with a stick. Morticia Adams would have been proud. Gun shows attract the media. Indeed, there was a news crew filming this afternoon. Its good to try to not look like the yokel who just had a twister tear up his trailer with granny inside. I was perhaps one of the few people glad to see the flow of young black men into the show. They were eyed suspiciously by many, even though they were as well behaved as any man their age. I noticed that when one black man was denied on NICS with a seller, he managed to buy a handgun going through NICS with another seller later in the day. Funny, that. I was satisfied to spot no less than three attorneys, one instantly recognizable in his bow tie and shock of grey hair. I also saw four surgeons, three physicians, and several nurses I knew. I was amused to discover the priest in charge of my daughter's parochial school fondling evil black rifles. Among the greasy Mausers on one dealer's table was a well worn C serialed M&P with buggered up screws and transitional grips. The muzzle looked as though it had kissed concrete at least once. The seller said it was his personal carry gun, and he would come down from $250 to $200 for cash. Another dealer had just placed out a beater Model 10 snubbie. The finish looked like it took a beach vacation several years back. It did lock up tight. The seller had it marked $225. I asked if he would take $200. He refused. A year or so ago I purchased two Model 10 snubbies in excellent condition for under two hundred a piece. Prices have escalated. Along the back wall, an old gentleman selling knives had put out a blued Colt Commander. I asked if I could examine it. He nodded. "It's a Lightweight, made in 1957" he said proudly as I picked it up. "It certainly is," I responded. The slide had been refinished at least once. It was all original, obviously well loved and carried. I inquired as to the take home figure. $850........Wow. That jiggled my cerebral cortex. I handed the pistol back to the old gent, and I crossed the arena to the table holding the New Agent. I motioned the dealer over and I asked for his best price. He dropped ten bucks off the sticker price. Good enough. I told him he had a deal, and I went behind his table to complete the paperwork and exchange with his wife. Ten minutes later, the New Agent was mine. I continued through the show, carrying the blue plastic Colt box. I had several people ask me if I wanted to sell. Then, suddenly, the old gent with the Lightweight Commander tapped my shoulder. "What did you buy?" he asked. "Just a little lightweight carry gun" I replied as I opened the box to show him. I have to admit I was a little self satisfied. I would have purchased his Lightweight Commander, had the price been agreeable, and it felt good to show him I could have. "You got a steal son. Welcome to the World of Colt," the old man beamed. As an owner of over twenty Colt handguns, I resisted my inclination towards a smart assed retort. Instead, I looked the old codger in the eye and said "Thank you." That scenario may be playing out now in a precursory way. There is a very high likelihood that one of those three Democrats will be president, and almost certainly control through law or through tort will soon follow. Many dealers and quasi-dealers at shows may feel their investment is better kept in good guns than in cash. That's how I felt in '92, anyway, and it was a profitable strategy for me. I would counsel you to alter your aversion to new, at least in the short term, and especially for Colt. The many truisms about the supply of Colts like the one you overheard are based in the real paucity of desirable pieces available for your favorite FFL to order for you. If your guy will order for you at $40-$50 over his true cost with prepay as I did for my good buyers, put your money down today and with overnight shipment and your carry permit, walk out of the store with your new acquisition tomorrow. You are very unlikely to experience depreciation; more likely you made money when you bought it. 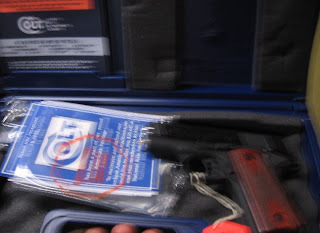 So dealers are hanging onto their good pre-owned stuff that they own outright, witness your show experience and the lately inflated Gun Broker listings...But most are glad to make the $40-$50 on the new piece with no risk or investment to them; you may even get new for used price, of course the coolest stuff you just can't get new. First, jtc, I hope you don't mind me cleaning up your punctuation a bit and using your comment to kick off this post. Marketplace economics driven by trepidation, speculation, and outright greed good business practices in the face of political change is a reality in the gun market. 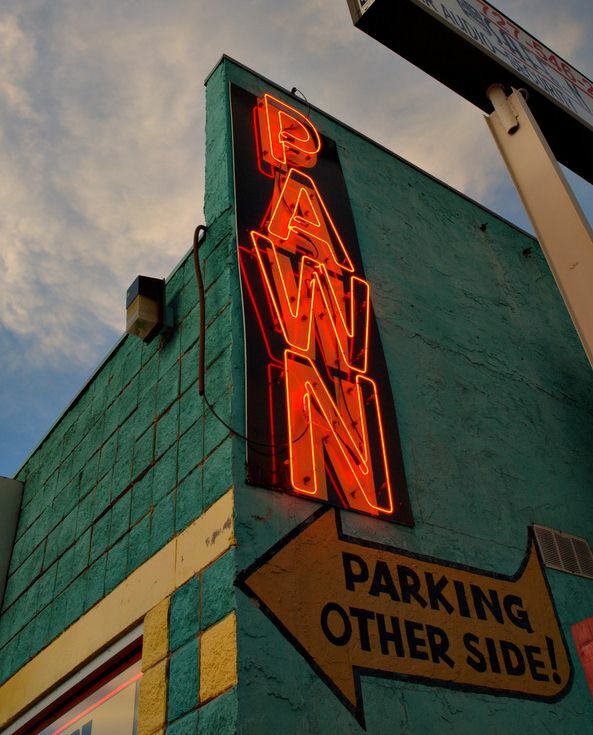 Some readers have commented on the dwindling number of my Pawn Shop Circuit posts. The decline is for a couple of reasons...... First, I have noticed that there are other folks, in particular a FFL dealer who sells on Gun Broker cruising the same shops as me. It began to appear as though this fellow and his cohorts were reading my blog. Hello Guy! Fortunately, I have a good rapport with the shops I buy at, and I don't try to chew them down on prices. When Mr. Gun Broker Dealer tries to gnaw another fifty bucks off a fair price, Neil and Kenny both know old Xavier will eventually walk in again. Many times they will wait to see what I will offer. Then, too, it seems as though there are fewer good guns on the used market these days. For a while, after hurricane Katrina, North Louisiana seemed to be a Mecca of used items of all types as evacuees sold off belongings and struggled back to their feet. That trend seemed to stop last year. 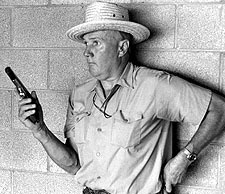 I figure not many of my readers want to hear that Kenny and Neil still have the same old Sigma and Taurus revolver in their case. So, I stopped writing about every foray into the used gun market. When it comes to gun shows, I do indeed see fewer and fewer collector quality firearms available. Perhaps I need to go to some of the bigger shows and have a look. It seems as though the smaller ones I attend are merely a means for dealers to harvest guns from walk-ins, which they later place on the table (if at all) at a larger show. I sometimes wonder if ammunition might be a better investment. But back to the subject at hand.......That Colt New Agent. Knowing that I will carry it, that it is a blued pistol, and that it will receive significant wear, should I buy? I have other pistols that this one would supplement. My Colt Compact is roughly the same size, although the New Agent would be lighter. All reports on the New Agent have been positive. It's the first Colt venture past the Defender into the CCW market. That is something to think about, I suppose. One front running Democratic candidate has already voiced a desire to crush concealed carry. 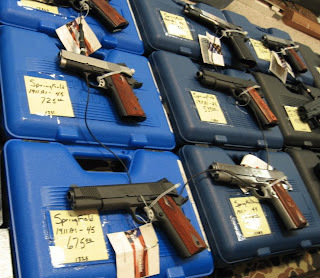 It may not be possible to repeal CCW legislation if Obama is elected, but prices of dedicated CCW guns will no doubt escalate along with high capacity handguns and rifles. Lets suppose I buy the Colt New Agent at $800. I give the pistol $150 worth of wear. $100 depreciation as used. The gun is now worth $650. Could political winds raise the used price of the pistol almost 40 percent to where I would break even? I don't know. One thing is certain though......Future politics will likely keep this pistol off the used market for some time, and the price being asked is fair. I think I need to go with my gut. 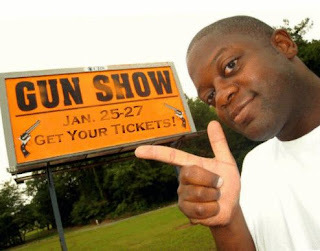 I showed up at the gun show as the doors opened, and paid my six bucks to go inside. Within minutes, I ran into Cussin' Bob. It was good to see the old cuss again. It has been a while. We caught up on the gossip, and I found out the Debate Society had finally consumed the hog. I need to get back out there again, I really do. As I wandered the show, I did not see much that interested me, at least not among the old guns. I did see one Ruger MKI Target for $349. I saw a Browning .22 Challenger pistol for around $350 as well. I passed on both. Apparently Kimber is putting out some gilded bling stuff. Pretty neat for $1100. Kimber also apparently had some kind of SIS pistol going on......I don't know what that's about, but the SIS slide serrations are kind of silly if you ask me. I found a used Wilson Combat Supergrade Commander with a hopeful $2900 tag on it's triggerguard. About the time I picked up the Wilson pistol, I overheard a dealer tell a customer "I'm gonna tell you sumpting. You don't know what you're talkin' about! Ron Paul will sell us all up the river. He wants to pull out of Iraq and we will lose there just like in Vietnam!" I paid my money to browse guns, not listen to third rate political commentary. I put the Wilson down and moved on. Along the South wall was a fellow from Arkansas who was selling GI 1911s along with some pretty sad looking S&W M1917s. He had a couple of .22 chambered Sistemas. Those were pretty cool, I asked what he wanted for them........A modest $500......each. I asked what his M1911s go for...Anywhere from $2300 to $5600. Wow. I asked when he last sold one, and he quickly asked me if I had any to sell. "No," I responded, "but I'll keep you in mind if I find any." The area started to smell vaguely like a piss filled diaper. I looked around for any tricycle motors that might be irrigating the place, but none were nearby. I decided to move on. 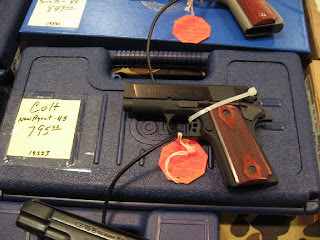 Another dealer had a refinished Colt M1911 on their table for $1350. That was interesting. It had been badly buffed. It was the only reasonably priced GI gun I saw though. 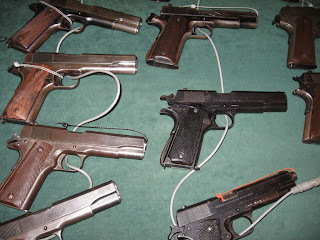 Another seller had a box of Beretta 92s and 96s going for $329 a piece. Your choice. They looked to be police trade ins. Finally, I came upon the pistol I drove through the sleet for. Right beside a Gold Cup Trophy (priced at $929) was a Colt New Agent. The dealer had a price of $795 on it. I had the money. A local dealer has the same pistol for $150 more. It certainly seemed to be a good deal. I have a thing about buying new, though....There is depreciation, and I'd like someone else to eat that. 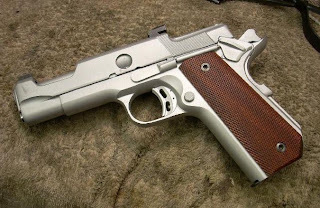 Still I remember when the Colt Gunsite Pistol was on the market. I waited, having decided to purchase one when it became available used. 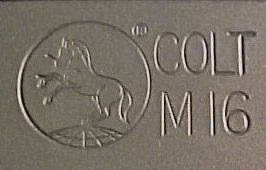 I have seen no Colt GSP, none, nada, zippo, on the used market. The pistol has steadfastly held it's value and simply does not come up for sale used. 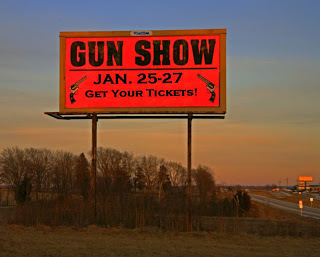 The gun show opens today. I took the day off work to be there. It's the coldest day yet this year. We actually had ice stick to the overpasses. "When the gun went bang, it surprised the heck out of me, of course. It took about a half a second to realize what happened. The sound didn't seem as loud as I remember when I shot without hearing protection at the range. I chalk that up to the fact that the gun was down away from my face. Then I realized that I was bleeding. I honestly don't remember if it was pain or the wetness of the blood. This all took maybe two seconds. I stood up and saw the blood all over my jeans and hollered upstairs for my wife to call an ambulance. I pulled my jeans off to see what was going on - I had a pair of longjohns on under them.There was a bag of rags and old towels laying there and I grabbed a handtowel which barely reached around my leg, so I grabbed the ends and twisted them. Then I walked/crawled up the stairs and laid down up there on my back and propped my leg up on a bucket. I noticed the pain by then and was afraid I was going to pass out - I had a cold sweat on my forehead and felt kinda woozy.By the time the medics got there, the bleeding had pretty much stopped. My leg hurt SOOOOOOO bad. They wouldn't give me any pain meds - I had to wait on the ER doc. 4 doses of morphine before it calmed down. I'm going to my family doc today and plan on getting my hands on my XRays. All the ER did was wash the blood off of my leg, took an X Ray, listened to the pulse and checked what was still numb. Gave me a tetanus shot, a sript for antibiotics and Lortabs. Wrapped it up with pressure bandages and sent me home." No, it wasn't me. It was someone who was experienced with firearms though. More here. Retired Army Green Beret Smokey Taylor was court martialed this weekend, and came away feeling good about it. Taylor, at age 80 the oldest member of Chapter XXXIII of the Special Forces Association, was on mock trial by his peers under the charge of "Failing to use a weapon of sufficient caliber" in the shooting of an intruder at his home in Knoxville, Tennesee, in December. The entire affair, of course, was very much tongue in cheek. Taylor had been awakened in the early morning hours of Dec. 17, 2007, when an intruder broke into his home. He investigated the noises with one of his many weapons in hand. When the intruder threatened him with a knife, Taylor warned him, then brought his .22 caliber pistol to bear and shot him right between the eyes. "That boy had the hardest head I’ve ever seen," Taylor said after his trial. "The bullet bounced right off." The impact knocked the would be thief down momentarily. He crawled out of the room then got up and ran out the door and down the street. 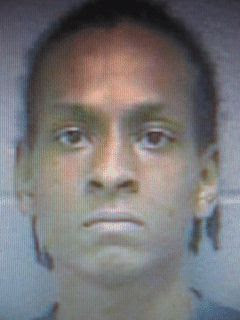 Knoxville police apprehended him a few blocks away and he now awaits trial in the Knox County jail. The charges against Taylor were considered to be serious. 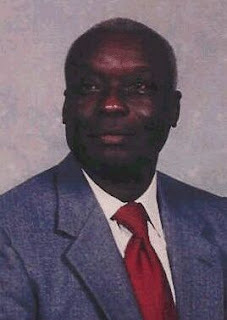 He is a retired Special Forces Weapons Sergeant with extensive combat experience during the wars in Korea and Vietnam. 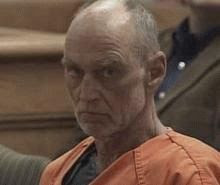 "Charges were brought against him under the premise that he should have saved the county and taxpayers the expense of a trial," said Chapter XXXIII President Bill Long of Asheville. "He could have used a .45 or .38. The .22 just wasn’t big enough to get the job done." Taylor’s defense attorney, another retired Weapons Sergeant, disagreed. He said Taylor had done the right thing in choosing to arm himself with a .22 caliber handgun. "If he’d used a .45 or something like that the round would have gone right through the perp, the wall, the neighbor’s wall and possibly injured some innocent child asleep in its bed," he said. "I believe the evidence shows that Smokey Taylor exercised excellent judgment in his choice of weapons. He did nothing wrong, and clearly remains to this day an excellent weapons man." Counsel for the defense then floated a theory as to why the bullet bounced off the perp’s forehead. "He was victimized by old ammunition," he said, "just as he was in Korea and again in Vietnam, when his units were issued ammo left over from World War II." Taylor said nothing in his own defense, choosing instead to allow his peers to debate the matter. After the trial he said the ammunition was indeed old and added the new information that the perp had soiled his pants as he crawled out of the house. "I would have had an even worse mess to clean up if it had gone through his forehead," Taylor said. "It was good for both of us that it didn’t." Following testimony from both sides, Taylor was acquitted of the charges and was given a round of applause. Meanwhile, back in Knox County, the word is out: Don’t go messing with Smokey Taylor. He just bought a whole bunch of fresh ammo. 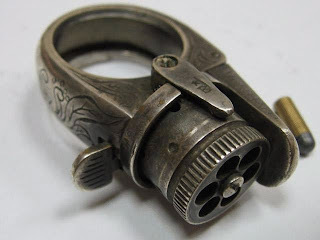 Now I have seen Knuckle dusters and Palm pistols before, but this little pinkie ring shooter is a new one to me! Ilsa continues to grow and develop. She is now at 94 pounds of fast moving dog energy. The reason I still enjoy gun shows is you never know what will show up. It might be a long sought after part, or a Registered Magnum that the seller thinks is just any old gun. I enjoy meeting up with old friends too. Hello, I seem to lack the cunning to find your email address to ask a question that has been percolating in the back of my mind for a while. As you have moderation enabled, I beg your indulgence in abusing that detail as an ad hoc email. A while back you outlined what would constitute required elements, moderate features, and unacceptable bits for a carry 1911. Unfortunately, I am nowhere near as familiar with 1911s as you are and I wanted to ask you why you found things like a full-length guide rod undesirable. What are the pros and cons of the options you find significant? I've dug through your archive, but I was unsuccessful in finding a post where you answered those questions. Thank you for your time, and I look forward to further reading of your blog. I do not like the full length guide rod because it makes the pistol more difficult to field strip. It also prevents the user from pressing the front underside of the slide against a surface to clear a malfunction one handed. Some of my 1911s have a full length guide rod. The item works well enough, I see no reason to throw it towards the berm at Gunsite, but I also see no reason to buy one to put in a gun. The two piece Springfield full length guide rod is another story. I would Loc-Tite it or get rid of it. Most of the options/modifications I like in a carry 1911 are personal preference. They are: Fixed sights, flat mainspring housing, long trigger, Ed Brown grip safety. extended single sided thumb safety, durable finish, rubber grips, and a smooth front strap. Not all my 1911s fit this description, nor do all my carry 1911s. I feel it's more a matter of the fellow who totes the gun, his willingness to defend himself, and the tactics he uses that will persevere in a lethal encounter. The number of lines per inch of the checkering on the frontstrap of his 1911 has little to do with it. The one common criteria I demand in any carry gun is 100% reliability. I expect it to be able to fire 500 consecutive trouble free rounds of all types of ammunition. A mere 11 million light-years away, Centaurus A is a giant elliptical galaxy - the closest active galaxy to Earth. This remarkable composite view of the galaxy combines image data from the x-ray ( Chandra), optical(ESO), and radio(VLA) regimes. 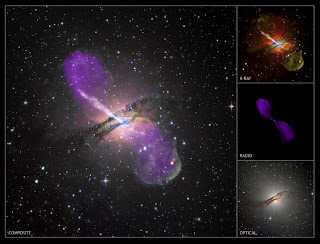 Centaurus A's central region is a jumble of gas, dust, and stars in optical light, but both radio and x-ray telescopes trace a remarkable jet of high-energy particles streaming from the galaxy's core. The cosmic particle accelerator's power source is a black hole with about 10 million times the mass of the Sun coincident with the x-ray bright spot at the galaxy's center. Blasting out from the active galactic nucleus toward the upper left, the energetic jet extends about 13,000 light-years. A shorter jet extends from the nucleus in the opposite direction. Other x-ray bright spots in the field are binary star systems with neutron stars or stellar mass black holes. Active galaxy Centaurus A is likely the result of a merger with a spiral galaxy some 100 million years ago. 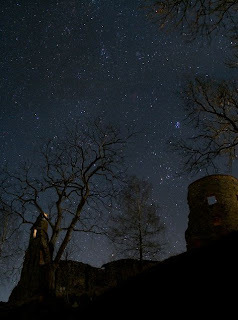 The tantalizing Pleiades star cluster seems to lie just beyond the trees above a dark castle tower in this dramatic view of The World at Night. Recorded earlier this month, the starry sky also features bright star Aldebaran below the Pleiades and a small, faint, fuzzy cloud otherwise known as Comet Holmes near picture center at the top of the field. Starry Night Castle might be an appropriate name for the medieval castle ruin in the foreground. But its traditional name is Mörby Castle, found north of Stockholm, near lake Skedviken in Norrtälje, Sweden. TRICKED OUT. ALL UNNECESSARY METAL REMOVED. COATED WITH IMPERVIOUS CERAMIC COATING. WORKS PERFECTLY. TUNED TRIGGER 5 LBS CRISP. TUNED EXTRACTOR, FEEDS ALL HOLLOWPOINTS. COMES WITH TWO MAGS. MEPROLIGHT TRITIUM SIGHTS. SIGHTS ARE 6 MONTHS OLD. GUN NOT FIRED MUCH. CLW FRAME. 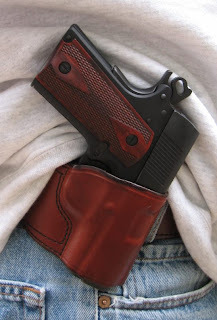 NO HOLSTER NEEDED, SIDE CLIP BY CLIPDRAW MODIFIED TO ALLOW MUCH LOWER CARRY IN PANTS. CERAKOTE BY ULTRACOAT IN OLATHE KANSAS IS RUST PROOF. WEARS NOT AT ALL IN HANDLING OR EVEN SHOWING IN A BUSY GUN SHOP. THIS GUN WILL LOOK LIKE THIS FOREVER, LIVES ON A GLASS SURFACE WHICH EATS BLUE AND NICKEL ALIVE. BLACK SMUDGE ON SLIDE IS PLASTIC ABRADED FROM MY TRUCK CONSOLE, THE GUN'S SURFACE IS SANDBLASTED AND IS ABRASIVE TO SOME SURFACES. THE PLASTIC COMES OFF EASILY WITH OILY CLOTH. ALL EDGES "MELTED" TO ENSURE SMOOTHER CARRY. 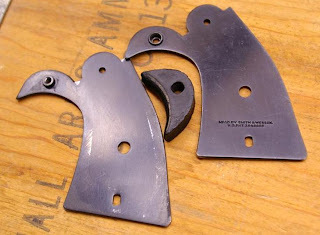 DLASK TRIGGER, BOBTAIL SHORTY MAINSPRING HOUSING. BEAVERTAIL GRIP SAFETY. SPRINGCO SHOCK ABSORBER. SLIMLINE GRIPS. STRANGELY DOES NOT KICK MUCH. EVEN WITH HOT LOADS. 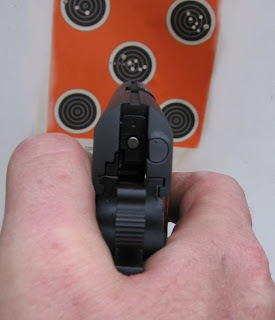 THUMB SAFETY IS ORIGINAL 70 SERIES TYPE GROUND DOWN TO NOT IRRITATE WHEN CARRYING. VERY LIGHT AND EASY TO CARRRY. 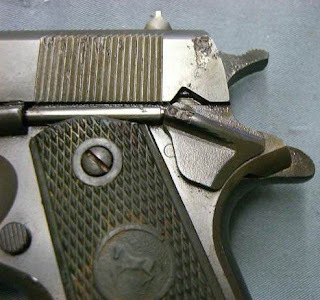 What Bubba neglected to consider while ruining this pistol is there are plenty of lightweight 1911s on the market without screwed up slides. The Clip Draw device is not a substitute for a holster. It works OK for short jaunts if you have a good gun belt. For prolonged concealed carry it is not sufficient. For a carry gun without a holster, this pistol certainly has some big holes for lint and other trash to gather in. The beveled bottom edge of the slide looks like an inebriated chimp held the file. The grip safety appears to have been fitted with a hammer and chisel. The bobbed hammer......I'm speechless. Bubba did chose a good trigger though. To bad he trashed the rest of the gun around it. $2,500.00 as a starting bid? One of the .22 pistols that represents American ingenuity is the Ruger Standard. 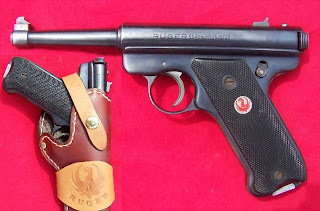 Approximately 25,500 Red Eagle Ruger Standard pistols were manufactured between October 1949 and November, 1951, before Ruger's business partner, Alexander Sturm died of hepatitis. After Sturm's death, Ruger mandated that the grip medallions be silver and black. The remaining red medallions were depleted by February 1952. The "Red Eagle" pursuit may be a sentimental affection for a long passed plinker, but the red medallion is also indicative of an innovative firearm's first year of production. Other details of the Ruger Standard pistols include a receiver with no scallops before the bolt knob, a nine round magazine and no bolt hold back mechanism. Very early examples have a square ejection port, and a block rear sight instead of the swept back rear sight shown here. Kokomo Indiana--A thug shot himself in the balls after robbing a convenience store of cash and cigarettes. While the cashier bagged his loot, the thug pulled a Lee Paige while shoving his semi-automatic handgun into his britches. The slug pierced one testicle free of charge, and then lodged in the unfortunate criminal's leg. The criminal exclaimed that he shot himself and ran out of the store. Coincidentally, less an hour later, police received a call concerning a man who had been shot nearby. 25 year old Derrick Kosch claims he was just minding his own bidness, concentrating on truckin' right, when a dark voice beside him tried to rob him......and in the ensuing battle, Kosch was shot in the groin, and the leg. Kosch was arrested on robbery and criminal recklessness charges. Police say they are still searching for the gun. Kosch is still hoping they find his right nut. 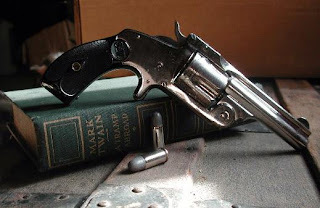 "Bill Ruger's .22 Pistol" by Don Findley is a wonderful surprise I found at a book fair. I have been unable to locate it on Amazon.com, other than a $100 leather bound version. My lesser quality copy had a $44.95 cover price. The Book Fair price was five bucks. Don Findley's publication is a coffee table sized book filled with detailed two page spreads of the Ruger Standard, MKI, and MKII pistols. It also contains photos of Bill Ruger's hand tools from his first abandoned business. The large clear photos are accompanied by text that explains the evolution of the little plinker and the myriad variations that collectors relish and justify their latest purchases by. While not a reference book or a definitive anthology of the pistol, the book certainly lives up to it's billing as a "photographic essay of the Ruger Rimfire Pistol." 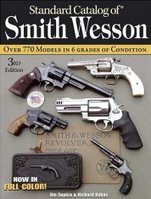 If you enjoy Ruger rimfire pistols, and see the book for an affordable price, do not hesitate to purchase it. "The Ruger .22 Automatic Pistol" by Duncan Long is available on Amazon.com for $10.88. 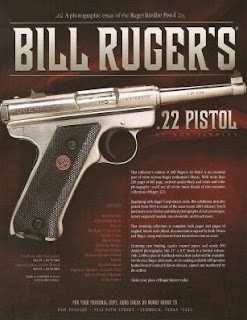 It is a history of Strum Ruger as well, and a good, inexpensive reference to their auto loading pistols. 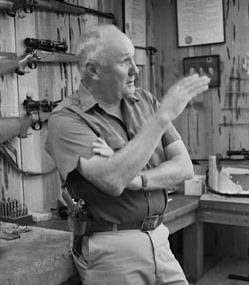 Duncan Long's book adequately covers the Ruger pistol through the Mark II line. The illustrations obviously can't compare with the coffee table book, but they are sufficient. Long's book also covers the care and maintenance, disassembly and reassembly, accessories, and ammunition. Both books are certainly worth the price to the Ruger plinker aficionado. The Findley book is certainly directed more towards the collector, with enlarged macro photos. The Long book is more information packed, aimed at another niche in the esoteric world of accumulating firearms. 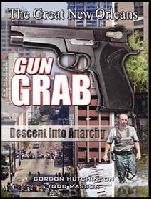 If you accumulate the Ruger pistol, you may as well pick up both books if you have the chance. After work today, I drove over to Kenny's pawn shop to see what was available. A grin crossed Kenny's face as I entered the shop, and he met me at the gun counter. Under his glass, Kenny had a couple of plastic pistols, but also a Beretta 92FS. The 92FS is a pistol that has not increased in price in the market. Back in 1991, when I purchased mine, they sold for about $550 new. They were the hot ticket item twenty years ago. Gun owners were facing the unknown realities of the Clinton Assault Weapon Ban, and the market for full capacity semi-automatic pistols was nuts with angst and trepidation. The Beretta 92FS still sells for about $550 new, but today there are also many used examples on the market for about $350 each. Kenny's Beretta wore aftermarket Hogue grips with finger grooves, a definite minus for me. It was in good shape, it was early enough to have the metal trigger, safety, and guide rod. the action worked as slick as any Beretta, like oiled glass. Kenny did not have the box or the original grips. I saw he had it priced at $349. 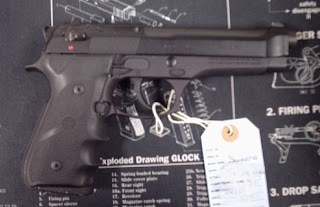 If I did not still have the Beretta 92FS that I purchased right after Lethal Weapon for $560, I might buy this one. Instead, I take my lesson on the realities of gun economics. "Hi Hon, Where you at?" "I'm over here at church. Xav...One of the women in the choir says there is a strange man outside on a bicycle." "They say he might be dangerous........"
"A man on a bicycle?" "Yeah, with a light on his head!" 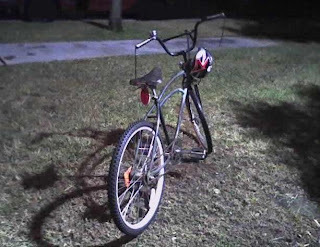 "That sounds like a suspicious sort, out riding a bike at night with a light on his head. There ought to be a law....."
"Could you come check it out? It's dark and he's still out there.....In a hoodie." "Does he have a gun?" "I bet he's armed.....Should I bring Ilsa?" "She might get hurt, leave her at home........Hurry......." "I don't know......Dammit, he's wearing jeans, a hoodie and talking on a cellphone!...............Is that Ilsa?.....Dammit! You goofball!" She wouldn't be so meek and mild. She threatened to get bolder. She'd put a red hat on her head, and purple on her shoulder. She'd make her life a warmer place, her golden years much golder. As ladies get older, they rejoice in the wearing of red hats and purple gowns. But what is their mate to do? Why put on a tweed jacket, loafers and ride a cobbled together old bicycle through the night with a light beaming from his eccentric head. What's the problem in that? The Colt New Agent. A gutter sight, a mil-spec thumb safety, and a lightweight aluminum frame. A dedicated concealed carry gun from Hartford. I really don't need this pistol, but the more I read about it, the more interesting it becomes. 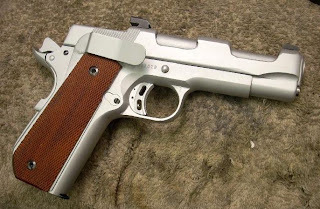 It seems Colt is making pistols that apply to the real world. I saw one in a local store new for $950. I passed. There is a gun show coming up.......Maybe this is what I will find at a decent price. January 1968--"Pistols do not win wars, but they save the lives of the men who do. 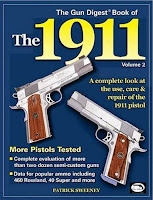 The noble 1911 is a mechanical marvel, whose ruggedness, dependability and ferocious power have comforted four issues of GIs, and which, unlike any other instrument you can name, is as much superior to its rivals as it was in 1917." I went back to the pound this afternoon. The GSD had been claimed by her owner. 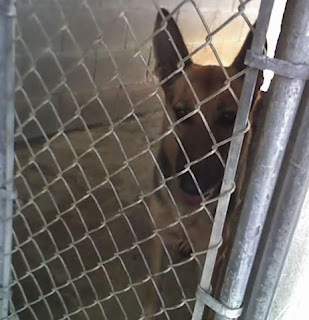 There is a German Shepherd Dog at the pound. She is a three year old canine with pleasant habits and manners. The pound shelter she is at is a kill shelter. She is pulling at my heart strings. I can not forget her. I wonder what kind of impact she will have on the home pack if she joins us. Will the hierarchy be overturned? Will the positions be up for grabs? Will Ilsa feel insecure? Will Ilsa become overly jealous of me? Is it wise to try to integrate this new dog into the pack? Is it better to just consider her a wayward traveler on her way to the German Shepherd Rescue? I don't have the answers to these questions. I only know I won't forgive myself if I do not try to rescue this dog. All the virtues of man, without his vices. 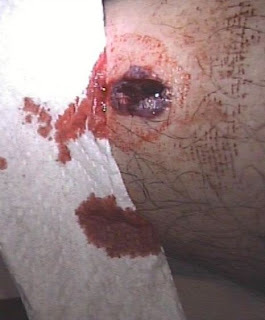 People often hear about the damage blood will do to a firearm, and dismiss the peril. 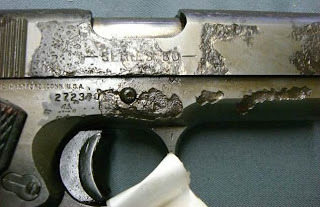 Here is a Colt 1911 that was left bloody while in evidence awaiting trial. The pistol fell in a pool of blood. The blood was not removed when the pistol went into evidence. The trial lasted for an unspecified period. The blood went to work attacking the metal of the firearm. First, I like the gun. At $300, you have to consider a couple of issues. 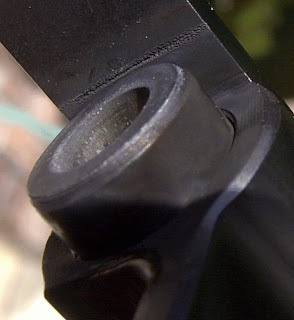 The area around the slide stop is badly corroded on the passenger side of the gun. The slide is heavily pitted at the ejection port as well. These areas are prone to cracking on high mileage 1911s, they are high stress areas. Your gun may not be safe to fire. Second, you apparently bought the story along with the gun. This weapon may have been a murder weapon and sat bloody in evidence, or it may have been found under the seat of a junked automobile in a wrecking yard. Without any court documents listing the serial number of the firearm, you have absolutely no documentation as to the history of this gun. I must ask you....If the seller told you it was found under the seat of a truck in Al's Salvage Yard, would you have paid the same amount for it? It's OK to say yes, it's OK to say no. If you say no though, verification of the story which is apparently important to you is essential. Expect the seller to provide it. Not everyone appreciates such a firearm. When confronted with such a relic, otherwise logical people will sometimes assign magical powers to it. Bad juju. Ugly stuff indeed. Historically, final bids on these things end up all over the spectrum. It was still a bit before noon, and all my cases were packed away in PACU. My partner and I were preparing to get a bite to eat and leave for the day. As I was putting on my lab coat I noticed a slight argument conversation between a family member and a nurse. I inquired as to the nature of the disagreement and received the old "Nothing we can't handle" response. Sometimes though, the introduction of a white coat and a scrub cap can make all the difference, so I strolled over to have a look. The lady I had worked on at 6AM was still in recovery. Her son was outside, wanting her to be released immediately to the floor. The lady was fully recovered, sitting up in bed wondering why she was still there as well. I took a look at the post-op orders. The surgeon had written orders that she could return to the floor at 12:00. She was to be recovered until that time. I went outside to speak to the son. The son was quite agitated as I told him his mother was doing fine in recovery. He said he knew that, and that was not the problem. It seemed his father was being discharged from the sixth floor at noon to be admitted to a long term care facility. His parents had not seen each other for over a week. The gentleman's father had Alzheimer's, and was being combative. I went back into Recovery, and informed the nurse I was taking the patient upstairs. I was told I couldn't do that, not without an order from the surgeon. I explained recovery would not stop. I told the nurse to give me a quick verbal report as I assisted the lady into a wheelchair, and retrieved her teeth and spectacles. I wrote down the last set of vitals displayed on the monitor and I disconnected it. The lady was not on oxygen anymore. Her vitals were stable. I had two nurses fussing at me as I told them I was assuming my patient's care again. I had ten minutes. The elevator ride was silent, neither of us speaking to the other. As the elevator doors chimed open, I asked the lady which room her husband was in. Room 626. I rolled her up to the door and took a peek inside. The EMTs had an ambulance stretcher beside the bed. A nurse, a nurse aide and two EMTs were trying to convince the old geezer he would be fine if he allowed them to transfer him. He was having nothing of it. I could tell by the twisted sheets and furrowed brows that it had not been pretty a few minutes earlier in that room. "Howard!" she demanded, "Howard, just what the Sam Hill are you doing?" A snaggletoothed grin crept across the old man's face as my patient rolled her wheelchair into the room and inserted herself between the nurse and me. "Howard, you behave. You know I wouldn't let nothin' happen to you that would be hurtful." The glow of recognition enveloped the man as he lay speechless gazing at the woman he loved. The old man said nothing, only staring contentedly at his bride as the EMTs moved him gently to the stretcher and strapped him down. "Howard, now you be good. I'll be by to see you as soon as I can," his wife told him. I rolled her backwards into the hallway to allow the EMTs to finish up. While we waited, I strapped a Dinamap to her arm and recorded the vital signs on a scrap of paper. As the old gent was rolled out of the room, his bride leaned forward to kiss him on the forehead, telling him it will be OK, she will be there soon. Then they parted yet again. The lady's son shook my hand, telling me he had to go with his father to make certain he settled in comfortably. We bade him goodbye. It was another quiet elevator ride back down to PACU. 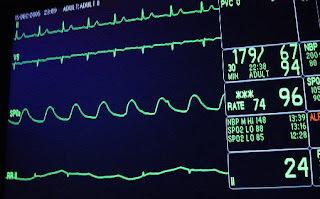 Once there, I again hooked the little lady up to the monitors, and recorded her vital signs and notated them on her chart. The recovery nurse fawned over our patient a bit, giving me a distinctly icy shoulder as I gave report back to her. I finished, and started to leave, but the little lady grasped my hand quickly. She couldn't quite say it, but she silently mouthed thank you. A single tear rolled down her cheek. This 911 call took place in a town in Indiana. The woman went on one date with Ryan Bergner. She declined further dates, but the man refused to leave her alone, stalking and harassing her. The woman filed six complaints against him. Then he made the last wrong decision of his life - he broke into her house. A federal grand jury has begun issuing subpoenas in the Megan Meier MySpace suicide case. Prosecutors in the U.S. attorney's office in Los Angeles are exploring the possibility of charging Lori Drew with defrauding the MySpace social networking website by allegedly creating the false account. Prosecutors are looking at federal wire fraud and cyber fraud statutes as they consider the case. Prosecutors believe they have jurisdiction because MySpace is headquartered in Beverly Hills. "If MySpace is considered the victim, fine. I don't care at this point," said Tina Meier, Megan's mother. "We've been begging for someone, anyone, to pick up this case. If the Drews can be charged, and even get the chance to be convicted, it would be a day I could be happy with." One well placed JHP beats a lifetime of kicking and yelping on a mat. Mindset is vital. It is the foundation of self defense. A gun helps augment one's mindset. The U.S. Department of Defense has announced Colt Defense was awarded a $15.92 million firm-fixed-price contract for M16A3 and M16A4 rifles to support the U.S. Navy and Marine Corps. Work will be performed at the company's West Hartford, Conn., plant. The contract is expected to be completed by Dec. 13, 2010.